There are more opportunities in the environmental insurance product line than any time in the past 37 years! Attendees get first-hand knowledge of how to excel in the sale of a product line that only has a 1% market penetration rate. Veteran presenters will offer insight into the industry’s emerging trends impacting sales, claims, legislation, and more. Concepts presented at SEIP conferences are 5 -10 years ahead of their time! No other conference will give you this industry insight and business advantage. In a day of virtual conference and webinars, SEIP 2018 provides a unique opportunity to interact and engage with industry leaders all gathered in one place at one time! Join us at our Welcome and Networking receptions included with your registration! The Hyatt Centric Fisherman’s Wharf room block is SOLD OUT. USE GROUP CODE : SEI to receive discounted room rates! San Francisco is not only great for business but also the family! The Fisherman’s Wharf is known for its fresh seafood! Stroll along the wharf and grab some chowder or a gourmet dinner! City Attractions For You & the Family! 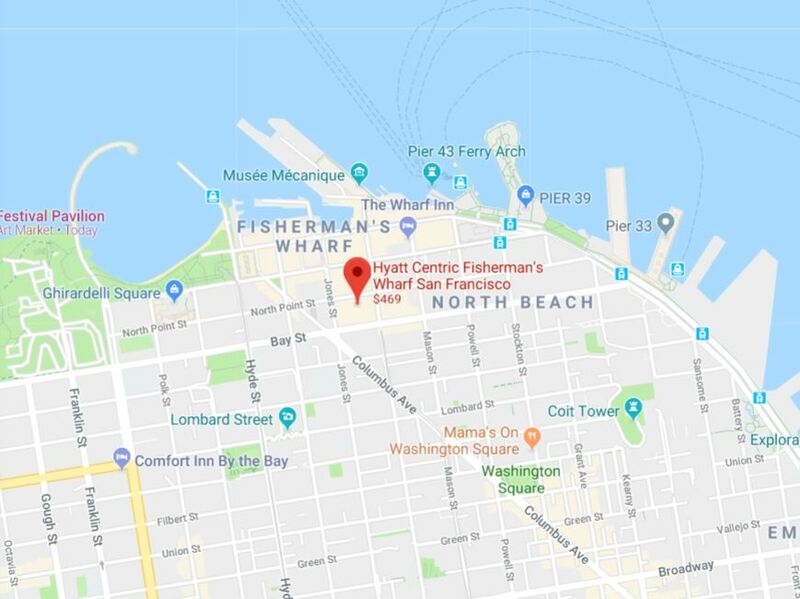 Located just one block from the piers of Fisherman’s Wharf and situated in the heart of one of San Francisco’s most popular neighborhoods, Sheraton Fisherman’s Wharf offers a perfection location for travelers looking to explore the city.